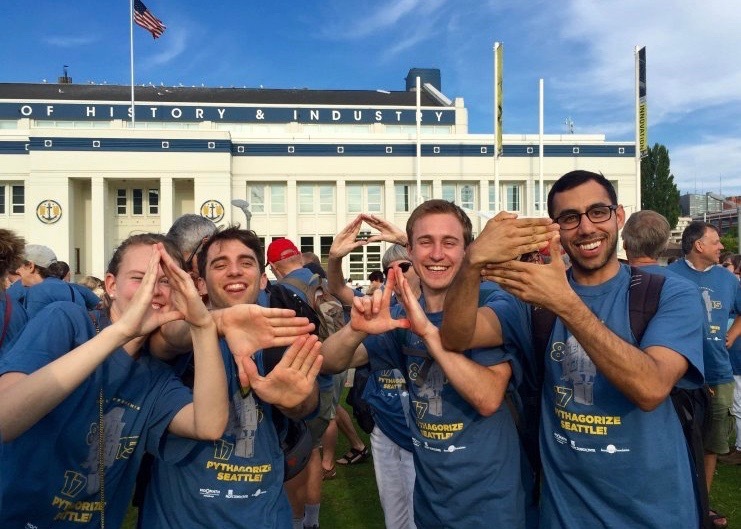 Join the National Museum of Mathematics as we return to Seattle to celebrate another Pythagoras Day — the last (primitive) Pythagorean triple until 2024! Made possible by the Bezos Family Foundation, OppenheimerFunds, and Weyerhaeuser, this year’s event will unfold in multiple stages, featuring a city-wide puzzle hunt designed by Lone Shark Games to engage individuals, groups, and families alike. Help us show the world that New York isn’t the only place where math can be the bedrock of an amazing mathematical celebration. What better place than Seattle to demonstrate the awesome power and sheer coolness of mathematics? The first 500 people to register will be eligible for an event t-shirt! T-shirts will be distributed first come, first served at the culminating event on 8-15-17. Learn more at seattle.momath.org. MoMath’s public demonstrations of the Pythagorean theorem have brought hundreds of people together to celebrate the wonder of mathematics. Take a look at the Pythagorize Seattle (2015) and Pythagorize the Flatiron (2013) events below. On Pythagoras Day 2015, MoMath and the Pacific Science Center brought an all-new MathHappening to the city of Seattle! This collaboration took place in honor of Seattle’s historic Triangle Pub. The Triangle Pub was selected from triangular buildings around the country because its dimensions measure 8 meters x 15 meters x 17 meters — a Pythagorean triple that just happened to correspond with the date. Learn more about the event at seattle2015.momath.org. 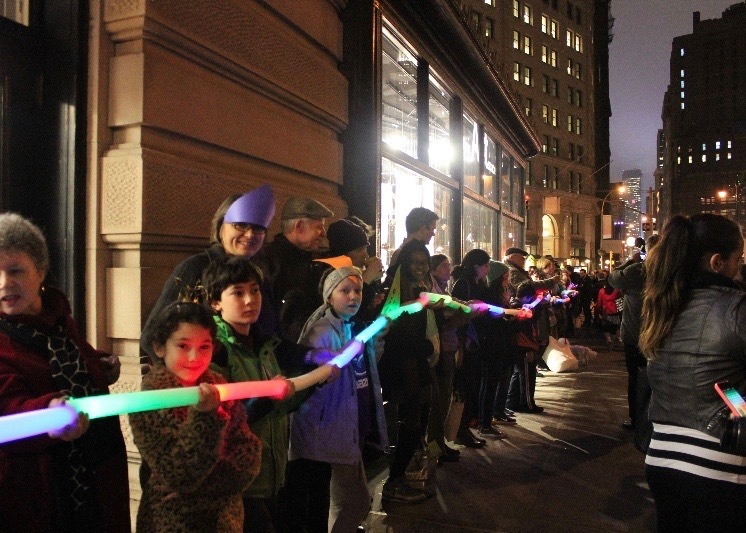 Before Pythagorize Seattle, there was the NYC 2013 Pythagorize the Flatiron celebration, in which New Yorkers lit up the night in a stunning illuminated demonstration of the famous theorem. This was the first of MoMath’s MathHappening series. To learn more about Pythagorize the Flatiron, click here. You can also find links to the numerous publications that covered the event.